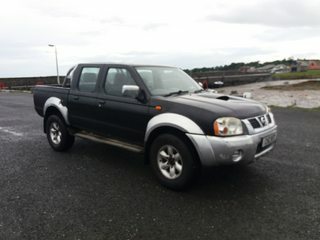 Hey folks just bought this, a D22 with a terrano TD27 engine fitted. 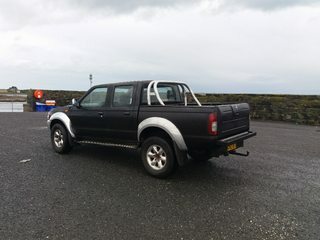 Its a budget project for doing a bit of towing and having some fun in. 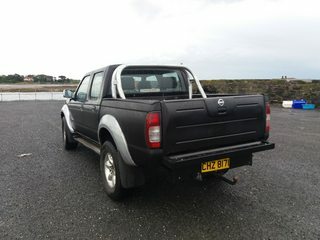 the chassis is very good, the body work is straight and pretty rust free, interior stinks of cow sh*t, but no rips or trim hanging off. Brakes are ok for normal driving but wouldn't trust them in an emergency. The engine runs fine once up to temperature but lumpy as hell when cold, good clutch and gearbox. 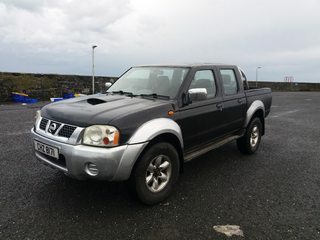 Plans are to get it running better, stopping better, all terrain tyres and possibly a mild suspension lift, rear tub has been painted with raptor paint so i'll probably paint the whole thing in satin black, roof rack with spots, and eventually a forestry bumper with winch. but only if and when it runs right.